JOHANNESBURG—Ten million people unemployed. A national debt of more than $200 billion. A nation ravaged by almost a decade of extensive corruption. Collapsing water and electricity services. Political parties sowing racial discord in a country still haunted by its apartheid past. Radicals encouraging land invasions. The most unequal society in the world according to the World Bank, with more than half of the population of 58 million living in poverty and a tiny elite controlling extreme wealth. 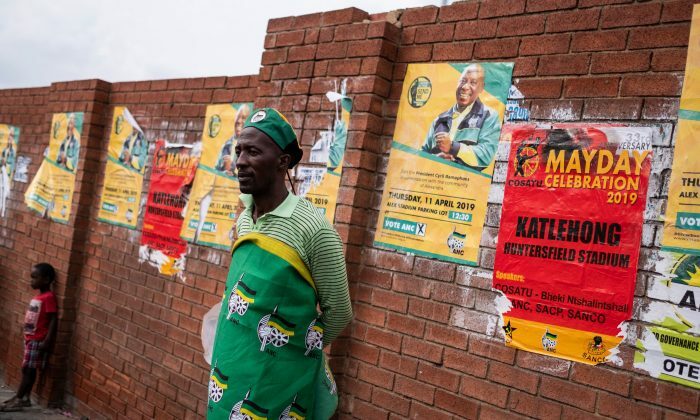 These are the circumstances under which South Africans will go to the polls on May 8, to vote in what analysts are describing as the most significant election since Nelson Mandela’s African National Congress (ANC) won the first democratic vote in 1994 after decades of apartheid rule. “This will be a very important election because it will decide whether we’ll be able to repair the damage done by nine years of corruption, which has crippled our government and caused great hardship for our people,” said University of Johannesburg Vice Chancellor Adam Habib. In a scheme that has come to be known as “state capture,” former President Jacob Zuma and his allies allegedly orchestrated the plunder of several state-owned enterprises. Habib said the graft would undoubtedly cost the ANC “plenty” of votes. He added, however, that while the ruling party is in “longer-term decline,” having lost the support of the black middle class, it should get enough votes next month to maintain the power it’s held for the past 25 years. 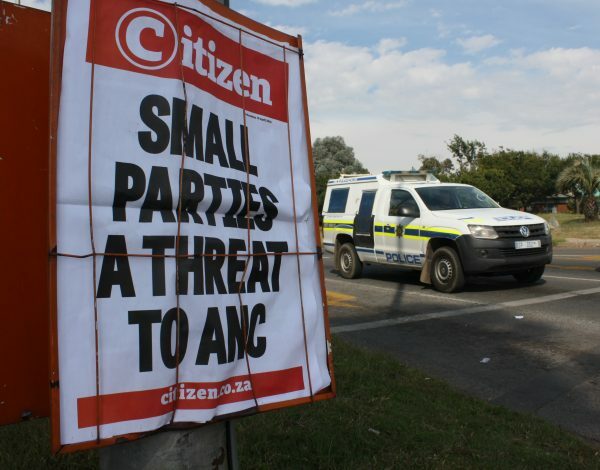 The latest surveys put the ANC at around 60 percent, with the main opposition, the Democratic Alliance, at about 22 percent, followed by the Economic Freedom Fighters with roughly 12 percent. Habib estimates the ANC needs a victory of at least 60 percent to allow Cyril Ramaphosa, a former trade union leader turned ultra-rich businessman who replaced Zuma early last year, the space to implement reforms. But Habib describes a big win for the ANC as a “double-edged sword”: Victory by a large margin would make it easier for Ramaphosa to make positive changes, he said, but it could also ultimately harm democracy and set the scene for a possible repeat of the Zuma era, during which an all-powerful ANC had free reign. Friedman maintains voters in South Africa, whether rich, poor, or middle-class, are clear about what they consider important and about which parties represent their interests. He noted that many previously staunch ANC backers no longer trust the party because of its failure to govern properly under Zuma. 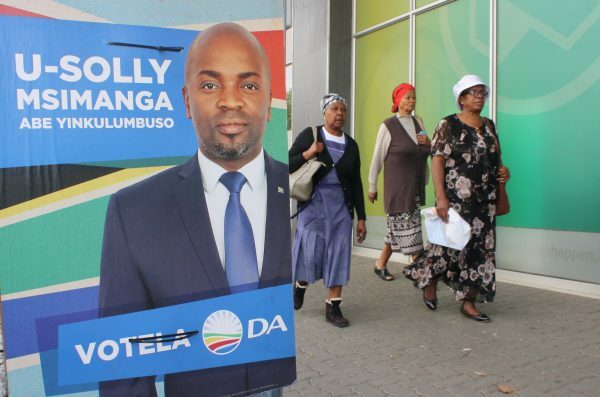 He said voters’ lack of faith also could be a problem for the main opposition Democratic Alliance, which has been wracked with infighting in the run-up to the polls. Party loyalties, Friedman noted, remain very strong in South Africa and it would not be easy for people, and especially ANC supporters, to dump the only political home they have known. Nevertheless, the ANC should be very worried that a significant portion of its members will punish it for what happened under Zuma, he said.